Needle felted pandas are a fun addition to our “Bigger Hands” series of activities that are great for older kids and grownups! 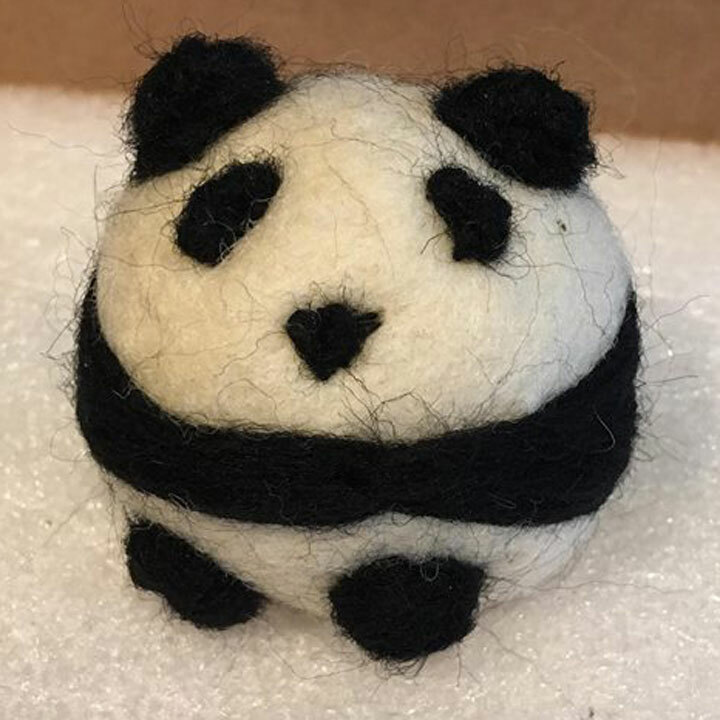 Each of our kits contain a felting needle, and plenty of hand-dyed (and naturally-colored) wool to create at least three roly poly rumbly tumbly little panda friends! 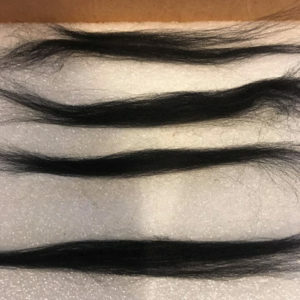 The giant panda also known as panda bear or simply panda, is easily recognized by the large, distinctive black patches around its eyes, over the ears, and across its round body. 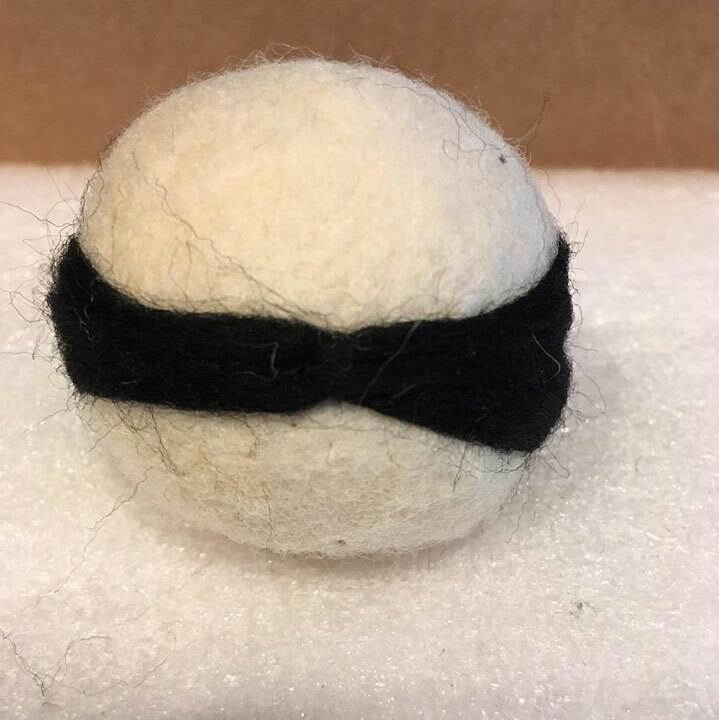 To begin, start with creating a felted round ball of white wool. You can either needle felt or wet felt the ball. The size isn’t horribly important, but we typically make ours slightly larger than a golf ball. 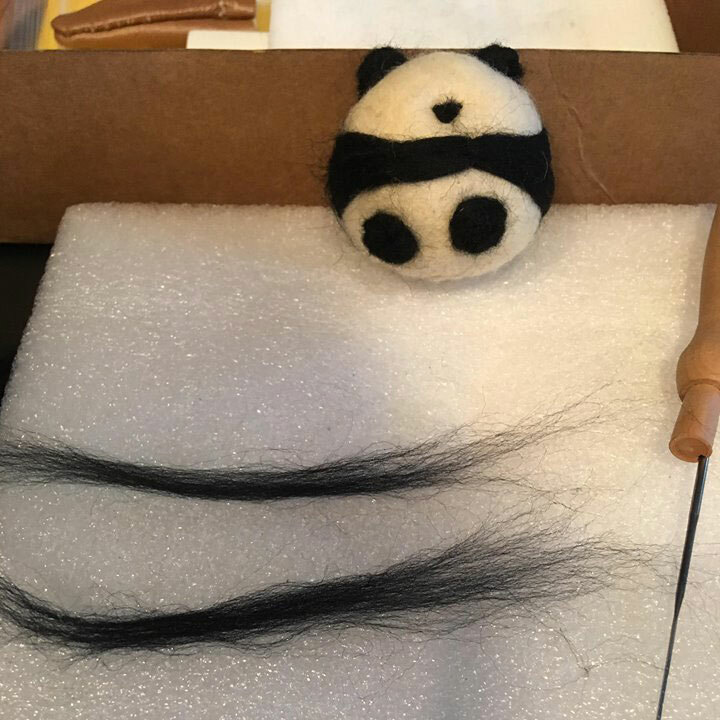 Take out a length of black wool, long enough to wrap around the panda’s pudgy belly and lay it out with the fibers all straightened. Wrap the black wool around the widest point of the panda body, then give the ends a single twist around each other. Using the needle, felt the black wool into the panda body to create a singlle solid line around the circumference. 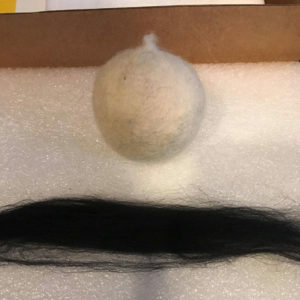 Once the black wool is felted in, it will look like this. Pay extra attention to the front, where the ends are would around each other, and get it nice and smooth. Ears and paws! For the sake of simplicity, we’re going to make only two paws for our panda; the rear ones. This will give the little porker a touch more stability so it doesn’t roly poly rumbly tumbly off your shelf. Take four equal strands of black wool and lay them out, with the fibers straightened. 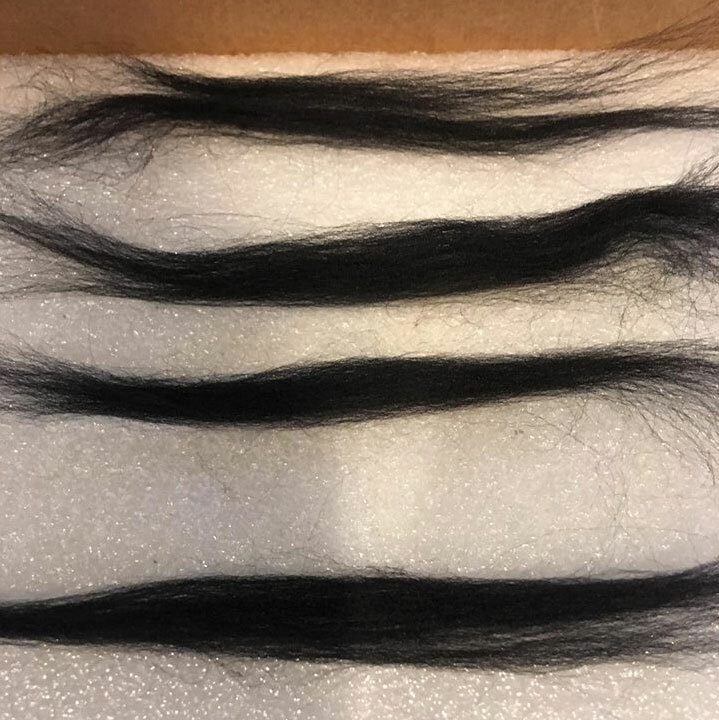 These don’t need to be as long or thick as the strands for the “belt”. Roll each strand into a ball between your palms and felt them. 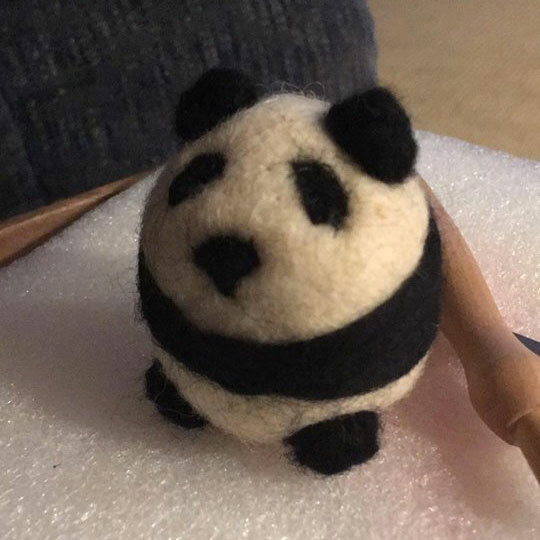 Once the balls are all felted, felt them onto the panda body, to represent ears and stubby little cute rear paws. 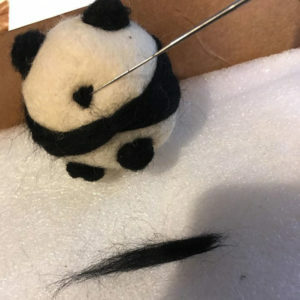 Take another bit of black wool and felt it onto the center of the panda’s face. That is a very boopable nose. 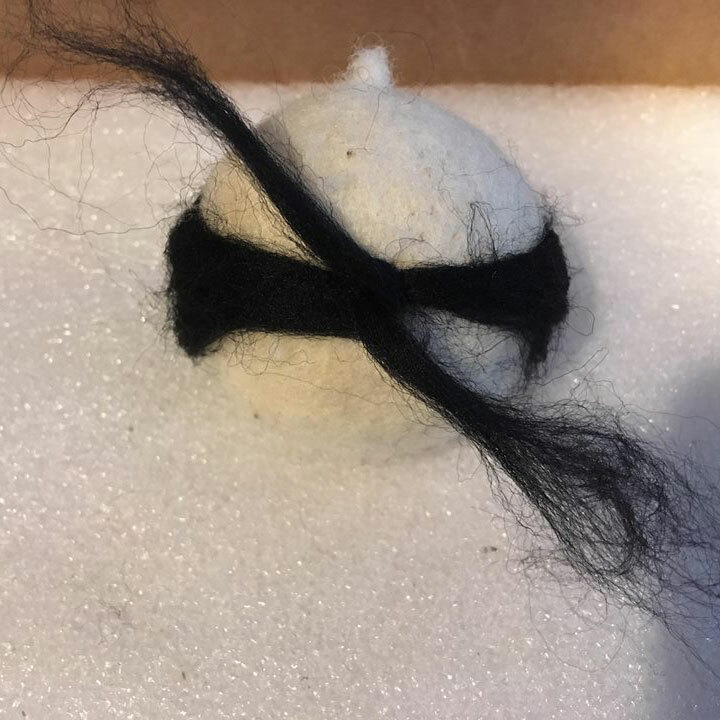 Make two more wispy strands of black wool..
And felt them onto the panda’s face for its eye patches. And there you have it! 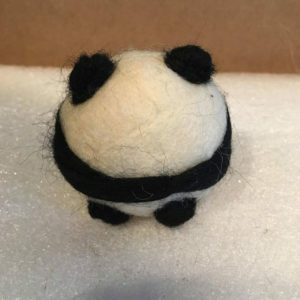 The cutest durned handmade needle felted roly poly rumbly tumbly panda. 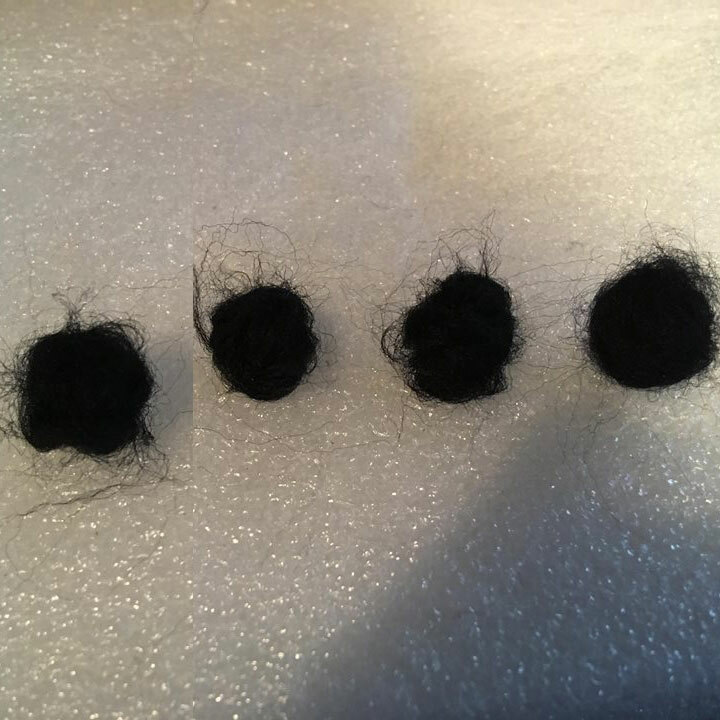 If there are a lot of black wisps like in the photo to the left, you can take a few minutes to felt them into more appropriate places. We would like to take a moment to thank our farm artist Cassandra for putting this tutorial together. To see more of Cassandra’s art, please visit her at Decor and More.